We do inhouse Silicone coating to the base paper ranging from 35gsm to 140gsm. We have well equiped machinery with auto coating system with precise coating and minimal wastage. We provide different sizes to the customer as per their need and customisation. 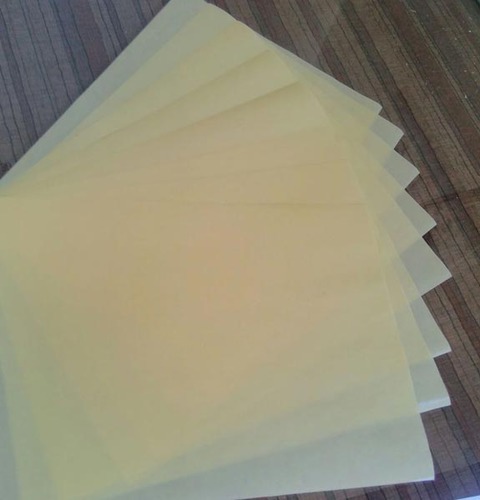 We import glassine paper ranging from 55gsm to 62gsm. Available in different colors. Packaging Details The procuct is packed with very caution keeping in mind that it does not get damaged. First a wrapping paper is wrapped around it and then it is stretch wrapped with the side guards so that the product and low chance of getting damaged.